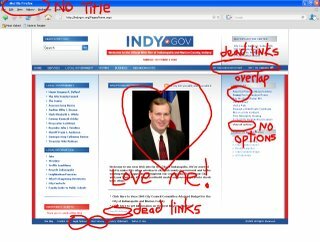 The city recently managed to finesse the DNS Internet Naming system and acquire Indy.GOV -- it was always my impression that this was reserved purely for Federal government websites. 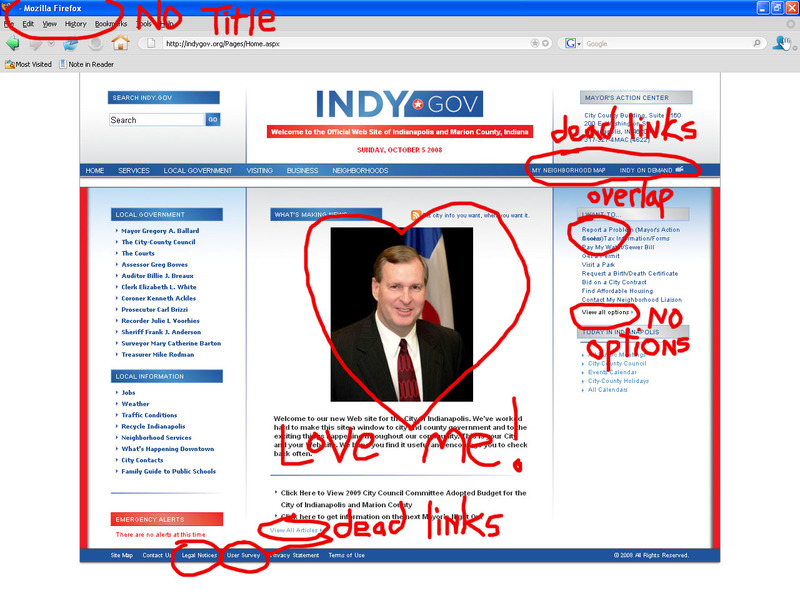 In any case, http://www.indy.gov is a slick move. I'm still chuckling over Miss Ann's assertion in the article that she only uses the Monon Trail (see pic). Another one of her freedom focused publicity stunts that worked!